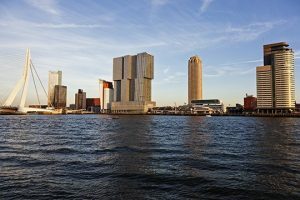 If you are interested in setting up a company in the Netherlands, you also have to deal with the Dutch corporate registry. The Dutch Chamber of Commerce, requires every company to be registered. We from Dike international have the knowledge and experienced specialist to assist you in registering your company in the Netherlands. All we need from you is a proof of your living address no older than 2 months (for example, an electricity bill will due) and a copy of your passport. This way, we can start up the register process on distance. If you are registered in the Chamber of Commerce you will have – for the outher appearance- a company in the Netherlands, which provides a lot of opportunities to do easily business in the Netherlands and everywhere in Europe. The specialists from Dike international can guarantee your Dutch company registration and are able to help you starting up your business in a very short amount of time. Also they’re offering different services like assist in opening a Dutch company bank account and obtaining a Dutch VAT number. If you wish to use different of our services, we have attractive package deals to offer you. Please contact us for more information about setting up your Dutch company.